For the 7th consecutive year, Dremana Productions donated their services to help plan, organize, and execute RYAN’S DAY. Ryan’s Day is an annual family friendly concert event which raises funds to help find a cure for Duchenne Muscular Dystrophy. 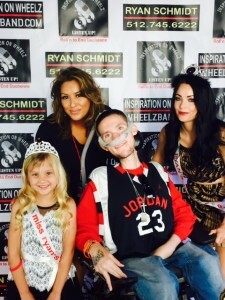 Local rapper with DMD, Ryan “Wheelz” Schmidt began a non-profit organization called “Inspiration On Wheelz” to raise awareness and financial support for Parent Project DMD. Check out Ryan’s website, (designed by our beloved team member Mariah Mears who now has her own company! check out Peasy Branding!) wheelzband.com – and know that by supporting us, you are supporting non-profits like this one!